A lead generation website is probably the single most important tool in your tool belt as a marketer. Because let’s be honest… Your website can either help or hurt your business. It can either easily turn prospects into customers or make potential customers scurry away in fright or frustration. Take it from digital conversion guru Neil Patel who says, “your leads are only as good as the website that produces them.” Why? Because your website and landing pages are opportunities not only to make your offer visible but to pre-qualify your leads and make sure only the most interested, most relevant traffic takes the bait. The ability to hook customers, obtain contact information, learn what works and why it works is the cornerstone of a successful business—and the cornerstone of any lead generation campaign is a website that can capture and convert those leads. Fortunately, building a lead generation campaign and lead generation website isn’t a task only geniuses can master, yet so many websites fail to make the cut. In fact, 30 to 50% of site visitors bounce away from landing pages, according to Quicksprout. With so many elements in the mix – your copy, design, layout, navigation, link structure—businesses can easily get perplexed as to why they’re not capturing the leads and sales they want to. Thankfully, we’re here to save the day. Here are some lead generation ideas for creating a rock-solid lead generation website so you can improve conversions, boost your website’s authority, and build time-honored trust. Before publishing anything on the web these days, always check to see how your landing page design is going to look on a smaller (mobile) device. According to Monetate, when analyzing online shopping sessions, global conversion rates on smartphones were about 1.43%, compared with 3.89% on traditional desktop. As it is, you’re fighting an uphill battle to convert visitors on a mobile device, so you have to be certain your design isn’t working against you. 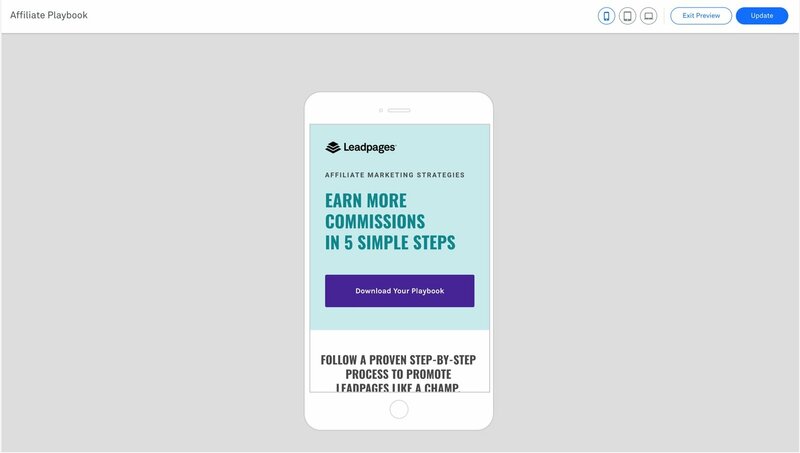 With Leadpages, it’s really easy to check that everything is working on mobile right within the landing page builder. Every Leadpage is mobile-responsive right out of the box, even pages you build from a totally blank slate in our drag-and-drop builder, so you’ll have the confidence that you’re producing a design that is both compatible with mobile and desktop devices. That said, you should still make sure all your most important elements end up where you want them on mobile before launching a page. When you’re editing your landing page within the builder, you can easily preview what it will look on a tablet and a phone. As you preview it, you might notice that you want to change the spacing, the size of your images, or the height of your headlines. “Your conversion efforts will be far more compelling when assets are easy to find and are built with a reader-centric mindset,” says Hubspot. The CTA is the most important when it comes to page placement. Make sure CTA buttons and form fields on your website are front and center for the visitor. Research conducted by the Nielson Normal Group reveals that the top and left side of the screen gets noticed much more than the right side and bottom. There’s a simple way to remember this design principle: think F-shape! Place every important element at the top and left. In order for a website visitor to convert into a lead, they need to fork over some pretty personal info: their name, email address, phone number, and maybe even address. And, in passing along this information, you must develop trust to do so. Here’s where testimonials come into play. It’s the ticket to proving to website visitors enough social validation that you are worthy of engaging with you. Whether you capture leads for an international, national, or local lead generation website, remember this: pictures do speak a thousand words. Always invest in the time to find sourcing the most captivating, emotional visuals. Don’t just pick the first image displayed upon searching for generic terms on a stock photography website. Use faces – especially smiling ones. It’s deeply meaningful to our brains, versus static pictures of products. Think about ways you can convey the benefit of your product or service, rather than the product or service itself. Any way that you can convey “what’s in it for me” will prompt visitors to take the next step. Highlight people using the product or service and the benefit it provides them. Too many elements on a landing page is distracting to viewers and can lead to confusion. Uncluttered images and text have a greater impact on your audience, so keep it simple! And, while we’re on the subject of simplicity, keeping your color palate minimalist is key, too. 1 – Color helps you mentally prioritize information. 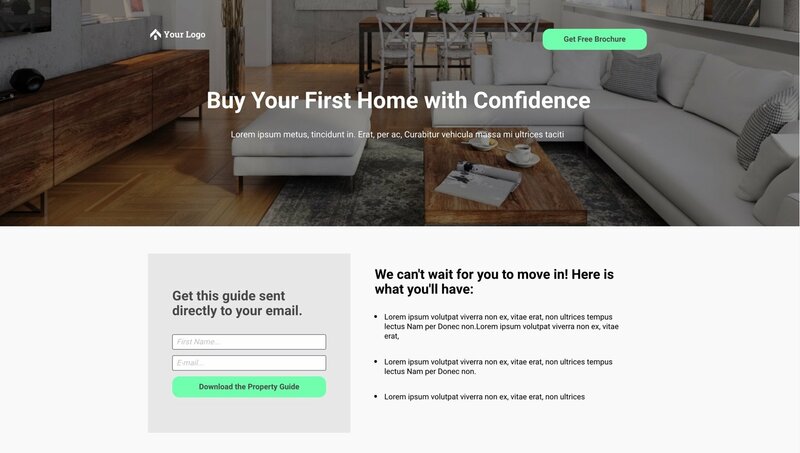 For instance, if you use a mostly grey color scheme with some blue accents and a red call to action, you’re effectively setting up a color scheme that prioritizes your CTA box. All of the grey is going to register to your page visitor as the lowest priority, and blue will be of medium importance. 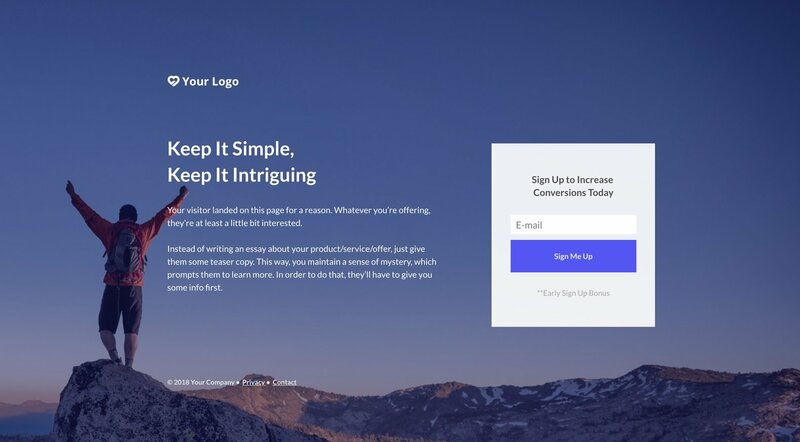 2 – Use one color on your CTA button. This will help it stand out from the background and emphasize the action you want your page visitor to take. Even if you squint your eyes to make the page seem blurry, the CTA should contrast enough to still stand out against the background. Ever heard the phrase “content is king”? Every successful business focuses on creating intelligent and lead-nurturing content throughout the customer journey – including your lead generation website . Trial and error is the key to a successful lead generation strategy, folks! Keep a hawk’s eye on every detail, compare results, and you’ll quickly see the correlation between what you published and tested – and what actually works. 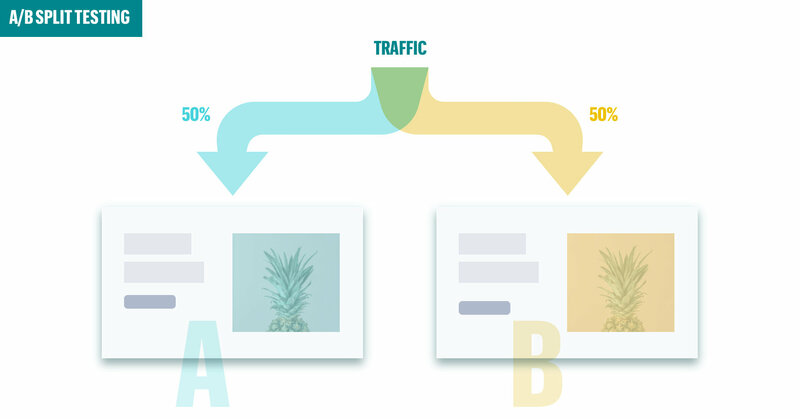 Testing can come in a few forms: there’s A/B testing that compares two variables, and multivariate testing, which compares multiple variables at once. Any successful website has one common denominator: a plan. With a plan, you should not only cover the basics to tee up your lead generation website for success, but also supporting lead generation channels and activities. 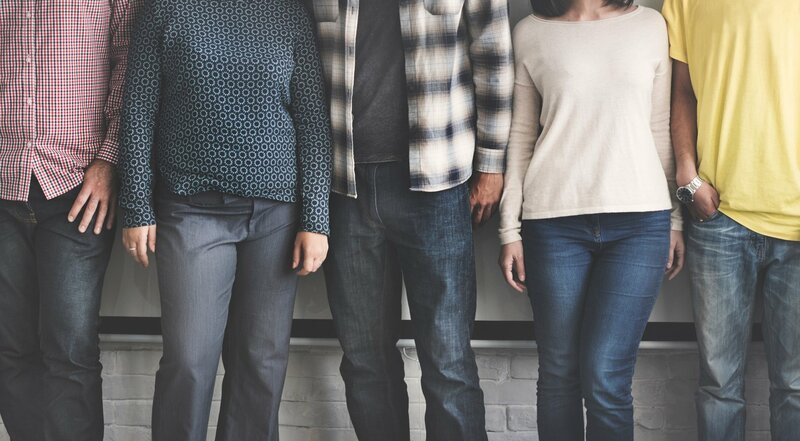 When properly cultivated and guided along the sales process, a lead will bud into a long-term and loyal customer—one that your business can benefit from time and time again. Yet, before any lead can be harvested, you have to first find and hook them. So, pay attention to the tricks of the trade listed above and you may discover true success! 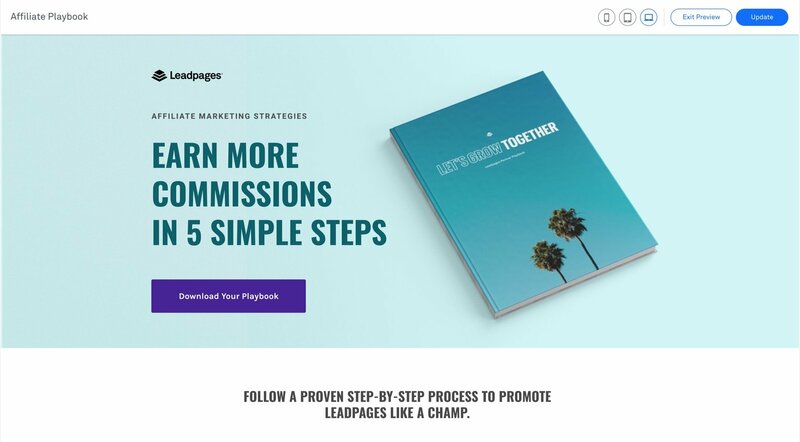 At Leadpages, we have boatloads of additional content on mastering the art of conversions and a robust landing page software to help seal the deal with any customer. You don’t have to break the bank on expensive lead generation services – remain the master of your own domain (pun intended).